“An ounce of prevention is worth a pound of cure.” Cliché, but true, especially when it comes to maintaining your health. Taking good care of your eyes while you’re young can significantly lower your risk of experiencing eyesight difficulties when you’re older. 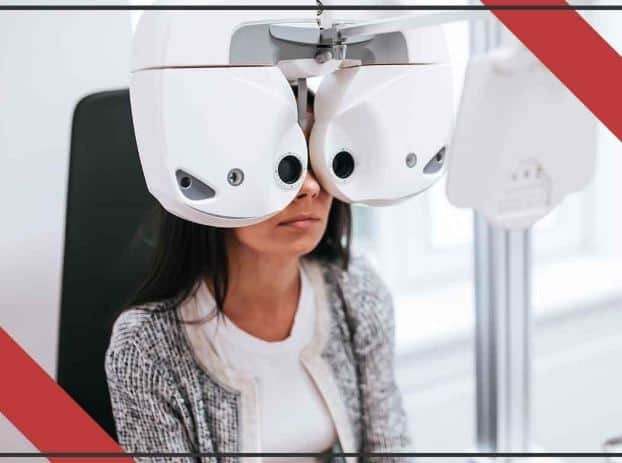 As we observe Healthy Vision Month this May, your optometrists from 20/20 Image Eye Centers discuss four simple and effective ways to safeguard your visual health. Many eye problems are passed from generation to generation. Having a parent or sibling that has glaucoma, for example, increases your risk of developing the condition too. This is why your eye doctor will begin your comprehensive eye exam with a thorough interview about your family’s medical history. Maintaining a healthy lifestyle is another way to promote healthy eyes. Start by eating foods that are rich in eye-friendly nutrient like leafy greens, deep-water fish and fresh fruits. Your optometrist also recommends exercising daily to ensure proper blood flow to your eyes. Staying hydrated is another must. No matter the weather, the sun’s rays are always present. Overexposure UV rays can cause photokeratitis or eye sunburns. This is why wearing sunglasses that provide 100% UV protection is essential whenever you spend time outside. Remember to wear safety eyewear when engaging in high-hazard activities like dealing with power tools. Most importantly, visit your optometrist on a regular basis. We will perform a complete eye exam to monitor your eyes and check for any irregularities. The earlier we diagnose a problem, the more effectively we can treat it. For more tips on maintaining healthy eyes, get in touch with us at (480) 535-1276 for Chandler or (480) 535-1098 for Fountain Hills. You may also fill out our form to schedule an appointment. We serve Chandler, Fountain Hills and nearby AZ areas.